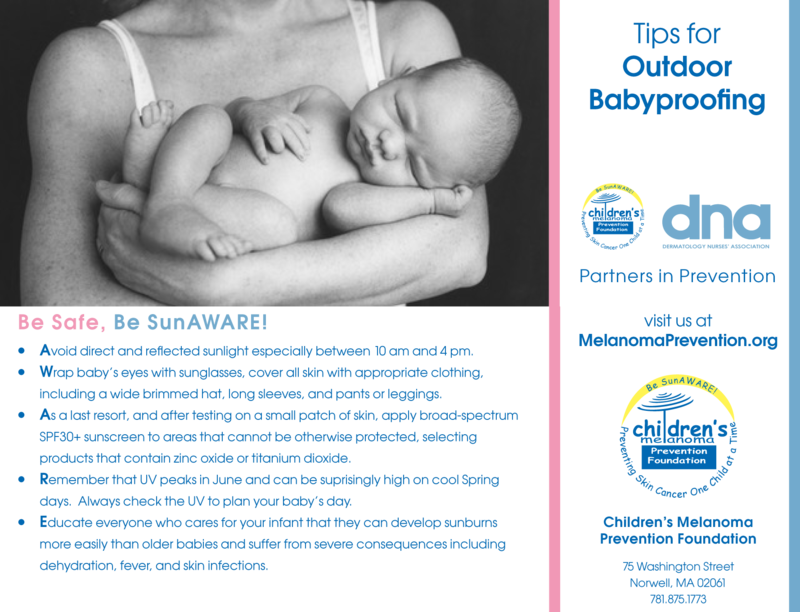 Apply recommended amounts of broad-spectrum sunscreen with a Sun Protection Factor (SPF) >30 to all exposed skin and reapply every two hours, or as needed. 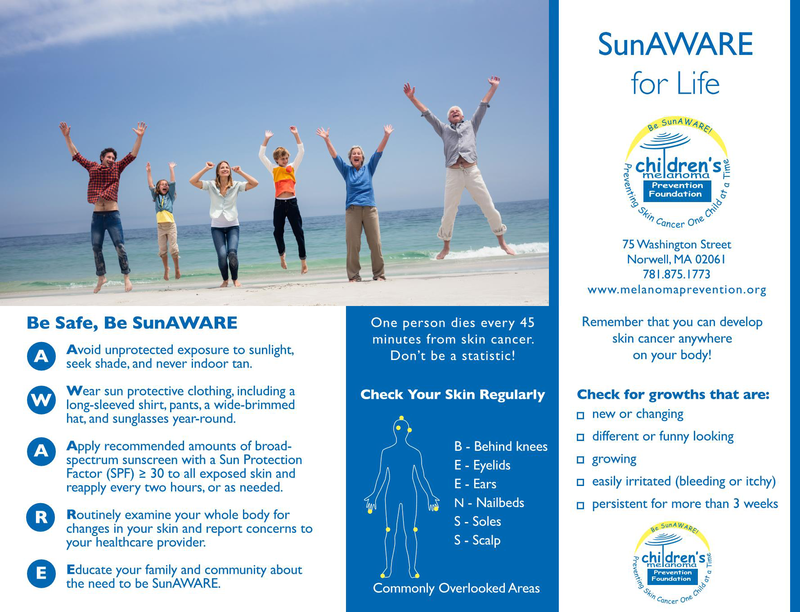 The SunAWARE PDF shown here may be downloaded and used in your patient educational efforts and posted in your place of business. Permission is granted to reprint and distribute. 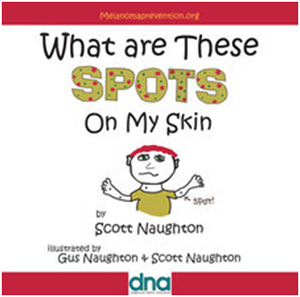 No changes may be made to the original bookmark artwork without the express permission of Children’s Melanoma Prevention Foundation.